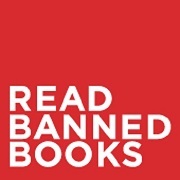 Celebrate YOUR freedom to read and the right to choose your book during Banned Books Week, September 28 to October 3 at Huntsville Public Library. A few of the challenged books will be on display. For more information, visit http://www.ala.org/bbooks, or call the Huntsville Public Library at 936-291-5472. ⇐Previous 2015 National Night OutNext⇒ Couldn't Make it to the last Story Time at Huntsville Public Library?